Candidates looking for AEC 127 Army Education Corps 2017 entries have a good news that it will be declared officially the direct entries dates on the official website of Indian Army soon. All the candidates are requested to read the official notification and carefully fill the application form. 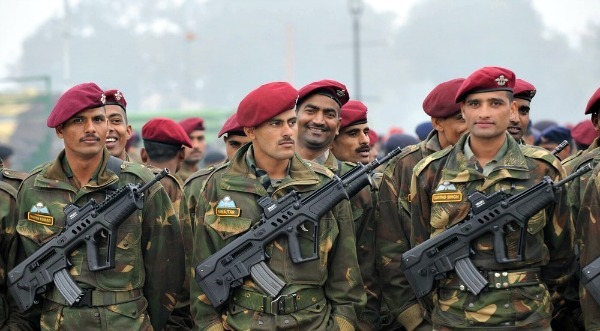 AEC 126 is an entry through which Post Graduates (only Male) can join the Indian Army.This entry is for Permanent Commission in the Army. Engineering graduates can apply for it. The next entry in this line will be TGC-128 entry. AEC is a direct entry scheme for SSB candidates who are eligible and interested to join Indian army can read the full notification and apply online.For any details or queries ask below in comments. AEC entries are the Technical Graduate Course for the passed out engineers. Notification is announced generally twice a year. many candidates who have passed out the BE degree apply for this technical posts. Cutoff is decided by the Indian army. So candidates apply online for the technical posts and read the full notification below . How to Apply online for AEC 127 ? Following documents are to be carried to the Selection Centre by the candidate:- (i) One copy of the Print out of application duly signed and affix photograph attested by Govt Gazetted Officer. (ii) Attested copy of Matriculation by the Board concerned (CBSE/State Boards/ICSCE) in which date of birth is reflected for proof of date of birth (Admit card/Marksheet/Transfer/Leaving Certificate etc. are not acceptable for proof of date of birth). (iii) Attested copy of 12th Class Certificate & Marksheet. (iv) Attested copy of Graduate Degree and all Marksheets. (v) Attested copy of Post Graduate Degree & Mark sheets of all Semesters. (vi) All certificates in original. Originals will be returned after verification at the Service Selection Board itself. Any candidate who does not carry these entire documents for the SSB interview, his candidature will be cancelled. Candidates who have 75% or more than 75% till final semester may or may not qualify for TGC 124 because as per the AEC 127 notification your aggregate must be more than 55% or First Class or Second Class. AEC is responsible to provide educational training and conduct of promotion exams of the troops. The AEC officers are posted at the Brigade HQ level and above. The officer is also responsible for the upkeep of the formation’s library. 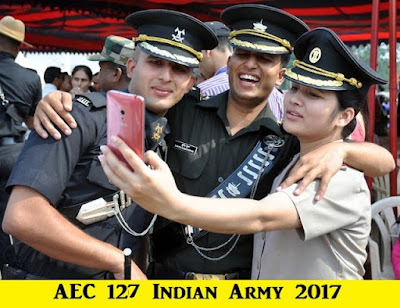 Aspirants are requested to keep visiting our page for more details regarding AEC 127 Notification Indian Army 2017 soon we would upload with cutoff for AEC 127 once its announced officially so candidates are requested to keep visiting our page for updates. for any doubts or details regarding AEC 127 Notification Indian Army 2017 comments are welcomed.Also like our official Facebook page for latest updates. i applied for AEC-126 post. i want to know about the selection procedure? Is there only two stages of interview?? or anything else?